Salem, the capital city of Oregon is located in the center of the lush Willamette River valley, 47 miles from Portland. Salem has a population of about 150,000 people and became the capital of Oregon in 1851. Today it is recognized for its scenic beauty. Salem is surrounded by gardens, fields of flowers, vineyards and green pastures. The city is perfectly located an hour from the ocean and an hour from the Cascade Mountains. Salem offers many restaurants, hotels and tourist attractions and appeals to a wide variety of interests – from sports tournaments to art fairs. Plus, you can see gorgeous cherry trees all over. 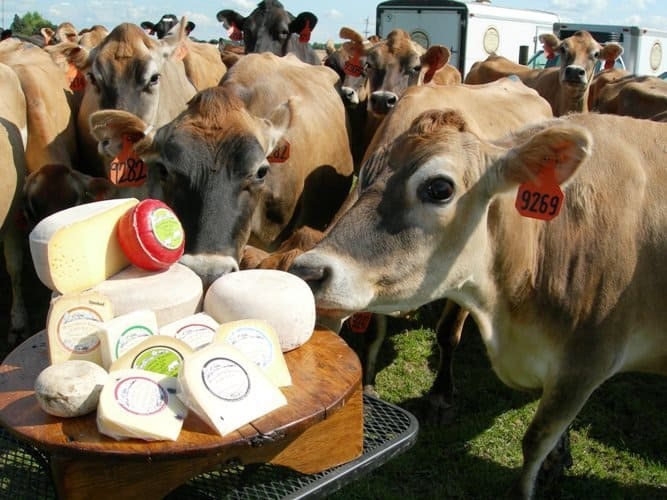 Willamette Valley Cheese makes the highest quality handmade, farmstead cheeses including famous Gouda, Cheddar, Brie and Mozzarella. Their production is certified organic with a commitment to quality. This is not an ordinary farm that produces cheese, they are a family with a passion for taking care of cows and environmental sustainability without using herbicides or pesticides. Their cows live happily on the farm and are not treated with hormones or antibiotics. In the tasting room you can try award-winning Gouda, which is slightly nutty with a subtle sweet finish and aged a minimum of four months. Do not miss the perfectly aged and creamy Havarti which has received top honors from the American Cheese Society more than once.